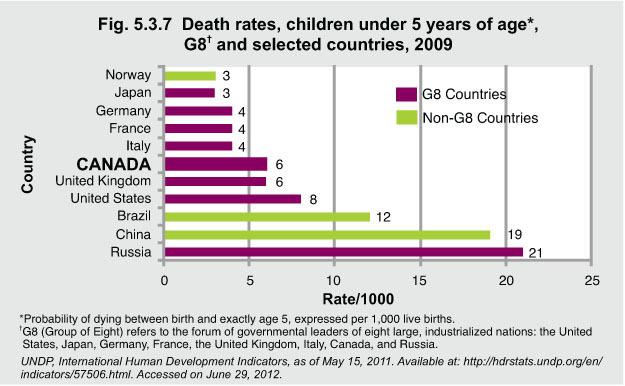 Among the G8 countries, Canada’s death rate for children less than five years ranks 5th behind Japan, Germany, France, and Italy. The rate is lower than that of the United States and significantly lower than Russia’s death rate for this age group. In Canada, many children under five lead healthy and happy lives. However, barriers to access and social and economic deprivation for some populations in Canada make providing a good start to life a daunting task.